Happy Friday! 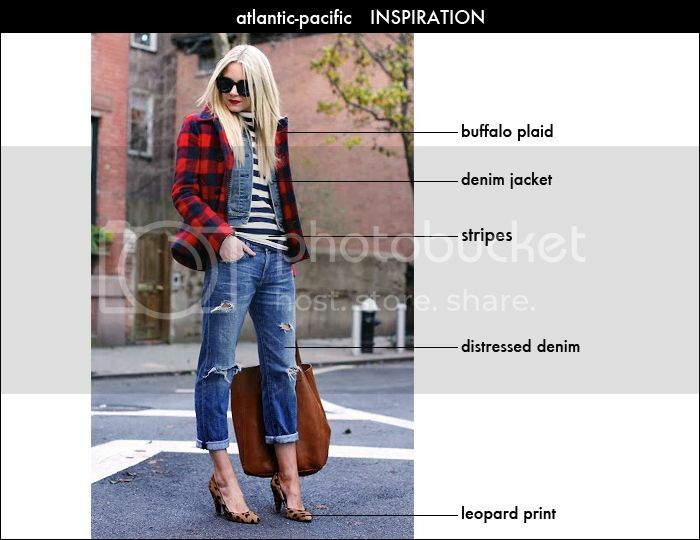 Today I thought I would share a few of my favorite trends and picks - buffalo plaid, leopard print, and stripes, and I love this inspiration from Blair Eadie at Atlantic-Pacific. I love the little Marc by Marc Jacobs bag! Blair always looks so fab! love her! Blair's looks are the best - love that Buffalo check. Her closet must be amazing!